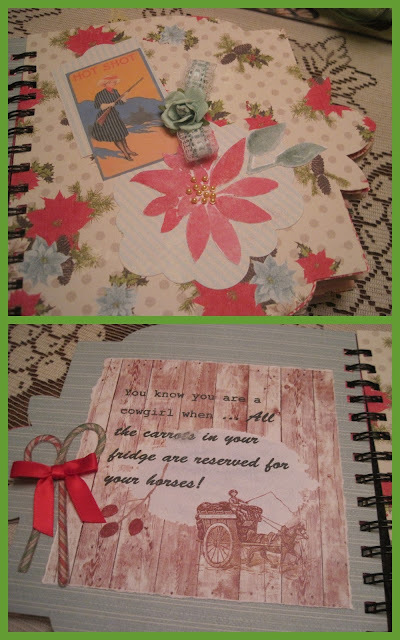 Every year, I have some folks who receive friendship gifts from my kitchen! 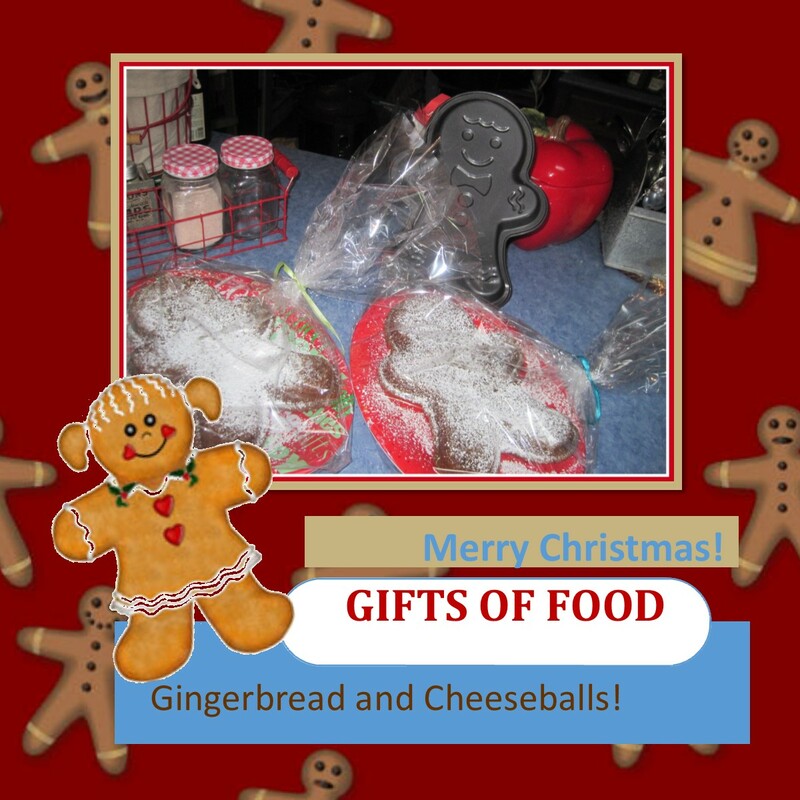 This year, gingerbread and cheeseballs were on the list! Add a box of crackers ...a bottle of wine ... some flavored coffee or a six-pack of winter ale ... and you have a nice gift. This kind of gift giving was instilled in me when I was a child. My mother made the most beautiful fluffy divinity and we shared it with neighbors. If you make divinity, you know you have to work quickly! It was always my job to follow her movements and put the candied cherry or the pecan half on top of the beautiful mound of sugary goodness while it was still warm and soft! I thought it was important to instill the importance of "giving" in my daughter ... and now Miss Phoebe helps us cook and she goes with us when we deliver! It was pouring rain the day we made our deliveries this year ... but she pulled her hoodie over her head ... and tightly held the bagged tray of gingerbread as she made her way to the front doors! I saw this cute gingerbread pan early in the season and I immediately started planning to use it! I used the recipe that came with the Wilton pan ... and used sorghum molasses in it. 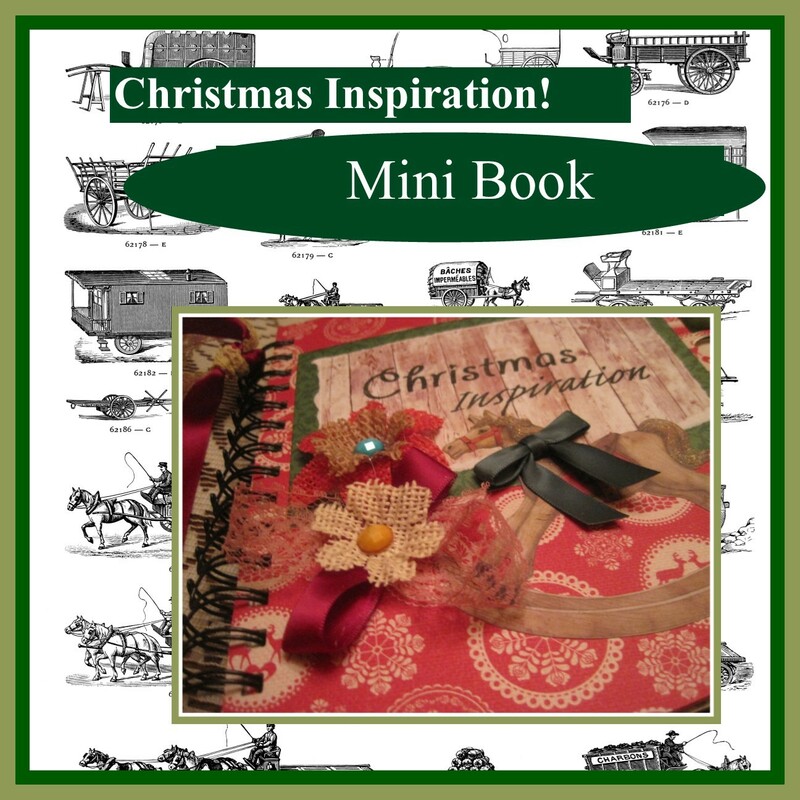 The little oval plastic trays came from the Dollar Tree and I order saran gift bags in bulk because I use them to enclose door prizes, auction baskets and lots of other things throughout the year. I made two flavors of cheeseballs. You can find my recipe for Pimento Cheese right here. Add an extra cup of shredded cheese and you should have the consistency of a cheeseball ... versus a spread. I rolled both flavors in chopped pecans. The Asiago ball recipe is easy, too. I use the food processor to make the work easy. Blend an 8-ounce block of cream cheese with 2 cups of shredded Asiago and a Tablespoon of butter. After that is smooth ... add 1/2 cup chopped nuts, 1/2 cup dried cherries and 1/2 cup chopped dried apricots. I'll be sharing this post with a couple of the blog parties listed in my sidebar, but check out my other posts on my home page before you move on! Merry Christmas! I am blessed with two older brothers who married women who are also my best friends! Not every family can say that ... but we can! This year, I decided I would make each of them a mini book ... filled with Christmas inspiration. 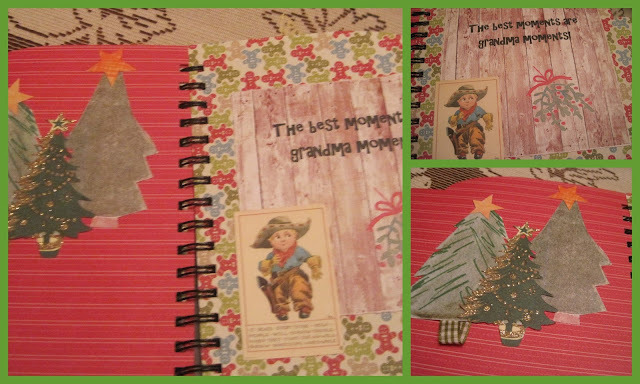 I filled the books with sentiments about being a grandmother ... the job we all love most! 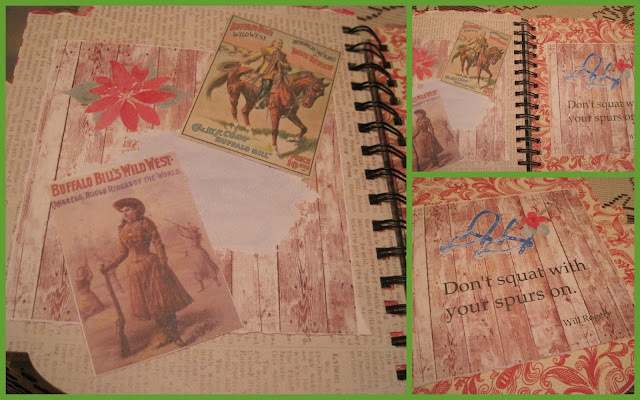 I'm showing the mini books in two separate posts ... You'll find the one for my "Cowgirl Sister-in-law" within this post ... and you'll find the one for my "Blue Bird Sister-in-law" by clicking right here. My horse-loving brother married a woman who probably loves horses more than he does! Carol's book also contains some cute quotes about being a cowgirl and even cuter vintage pictures of cowgirls! I always tie ribbons on the wire binder ... just to make sure it stays in place at the top and bottom. You'll notice that the page inserts have 'torn' edges! 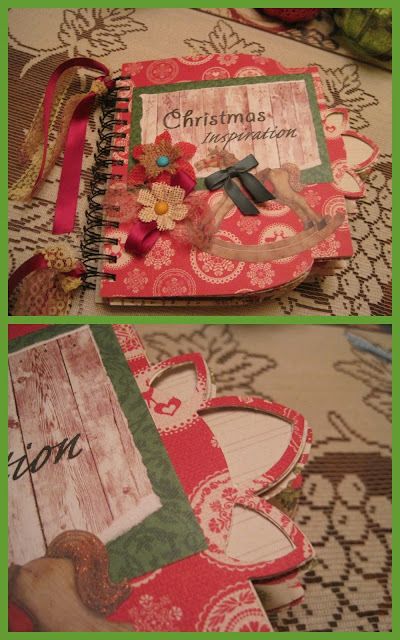 My husband would have asked if I had lost my paper cutter ... but I love the shabby torn look! Look closely at the right edge of this front cover ... the pattern is "crown" and the centers of the edges are cut out so the color of the next page can be seen ... more dimension! The Christmas patterned paper has some designs that I wanted to keep ... so I carefully placed the paper for cutting ... so I could keep Santa! The graphics I used in this book are "watercolor Christmas elements" and I cut some of them out to use as single pieces. This little cowboy reminded me of "Cowgirl Grandma's" youngest grandson! "You know you are a cowgirl when ... all of the carrots in your fridge are reserved for your horses!" My brother has been a builder of horse drawn wagons and carts ... a skill he learned from our daddy. I used lots of carriages in the design of the pages ... and used a barn side background! The old truck used in this page design resembles one my brother restored when he was a teenager! Of course ... it would be used to haul Christmas trees and anything else that would fit in the bed! 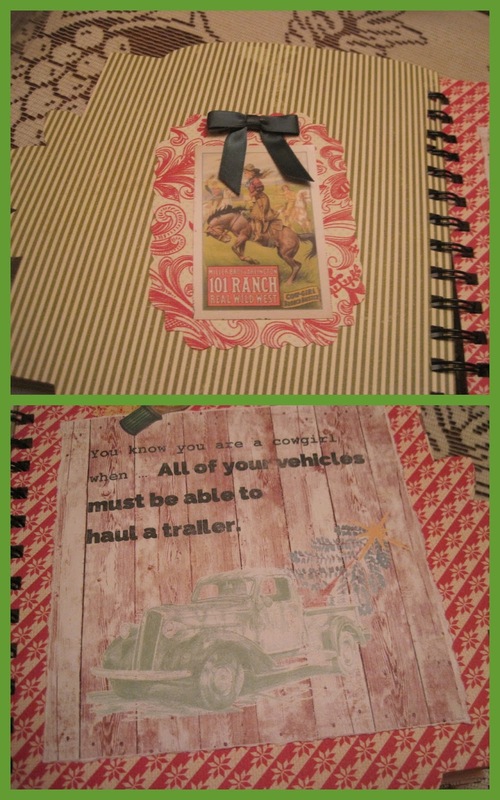 And now ... they don't own any vehicle unless it can pull the horse trailer - camper! 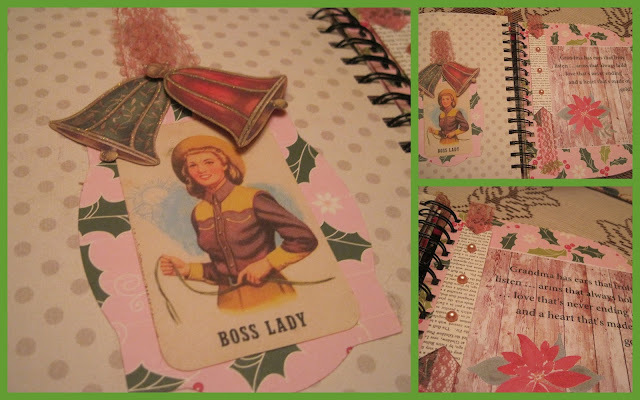 I love this page because of the pink background! 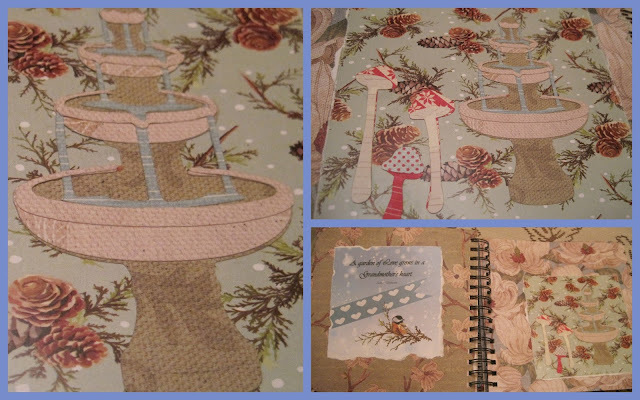 It is a vintage print ... I added the paper rose to make sure the cowgirl's rosey cheeks show up! 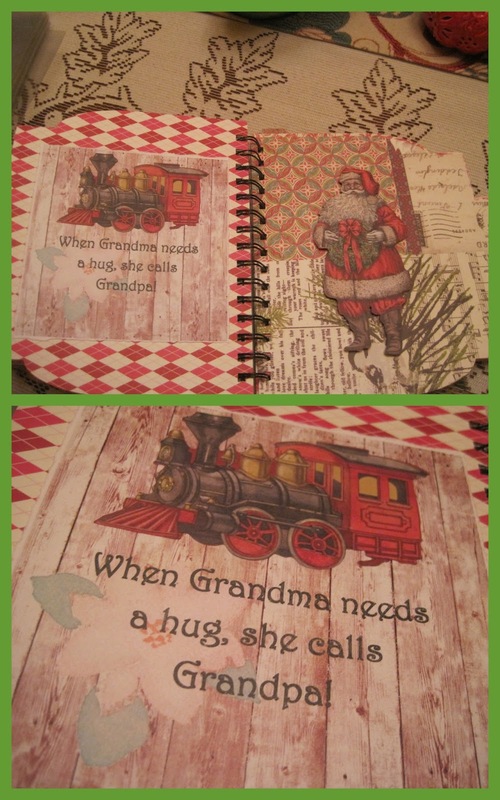 "When Grandma needs a hug ... she calls Grandpa"
My dad and my husband were really good Santas. They always showed concern for other folks. My brothers are the same way. Cowboy Brother heard about a little girl who was really sick ... and who had a miniature horse. She had asked Santa for a wagon for her horse to pull. Brother built one for her ... and made a set of leather harness for the little horse ... and delivered it on Christmas Eve. 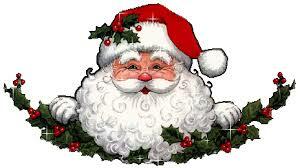 That is the true Santa! "Sisters by marriage ... Friends by choice!" I am blessed with two older brothers who married women who are also my best friends! Not every family can say that ... but we can! 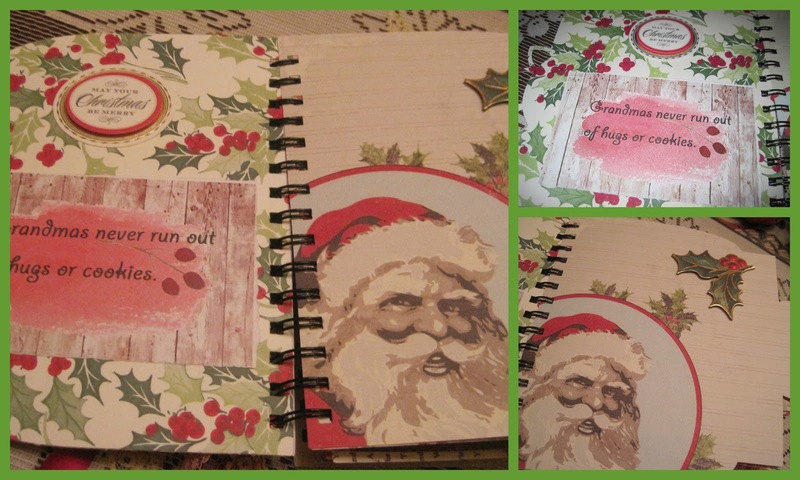 This year, I decided I would make each of them a mini book ... filled with Christmas inspiration. 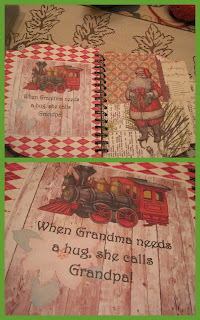 I filled the books with sentiments about being a grandmother ... the job we all love most! 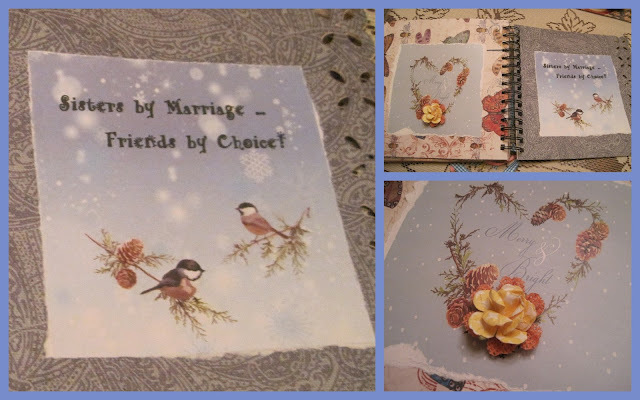 I'm showing the mini books in two separate posts ... You'll find the one for my "Blue Bird Sister-in-law" within this post ... and you'll find the one for my other sister-in-law at this link ... "Cowgirl Sister-in-law"! 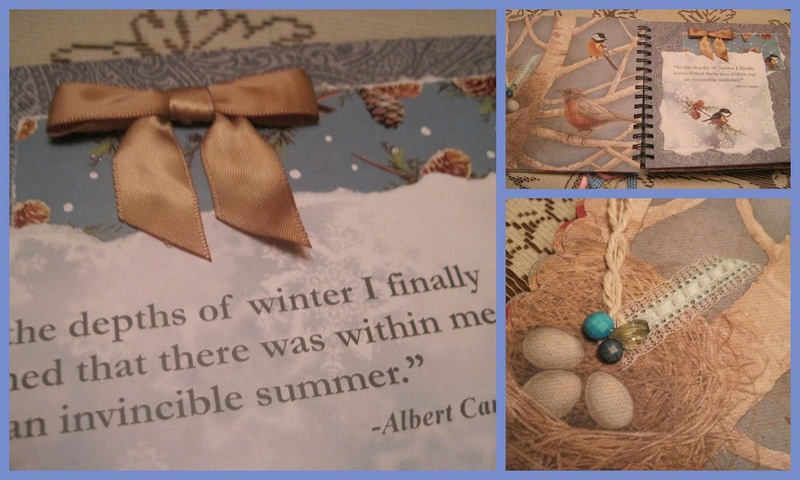 My sister-in-law Judy ... loves blue birds and has been successful in building houses that they come back to every year. I'm not good with birds ... other than to throw some food out for them when it snows! 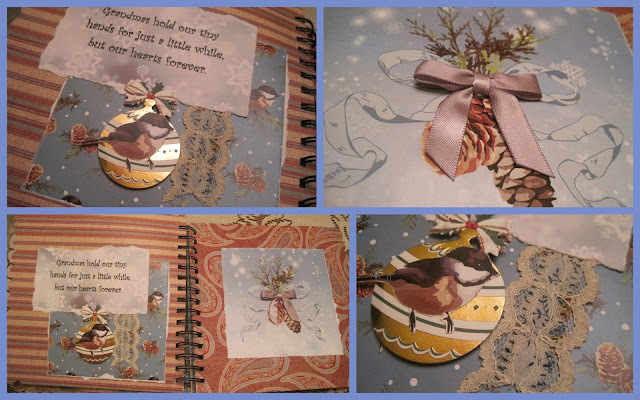 When I found a set of scrapbook pages that were blue prints of flowers and birds ... I knew it was for Judy! I used a blue snow background for the pages I created in Publisher. 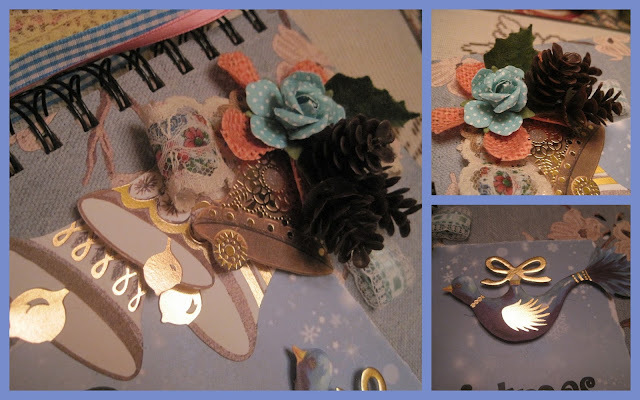 The bells and bird are from a set of card making supplies and the vintage ribbon is in my collection. The tiny plastic pine cones came from a candle ring that I picked up at a junk store! Actually, I bought 9 of them! I used the Cricut Elegant Edges die to cut these pages and cut several other elements with Cricut ... used several Christmas dies. 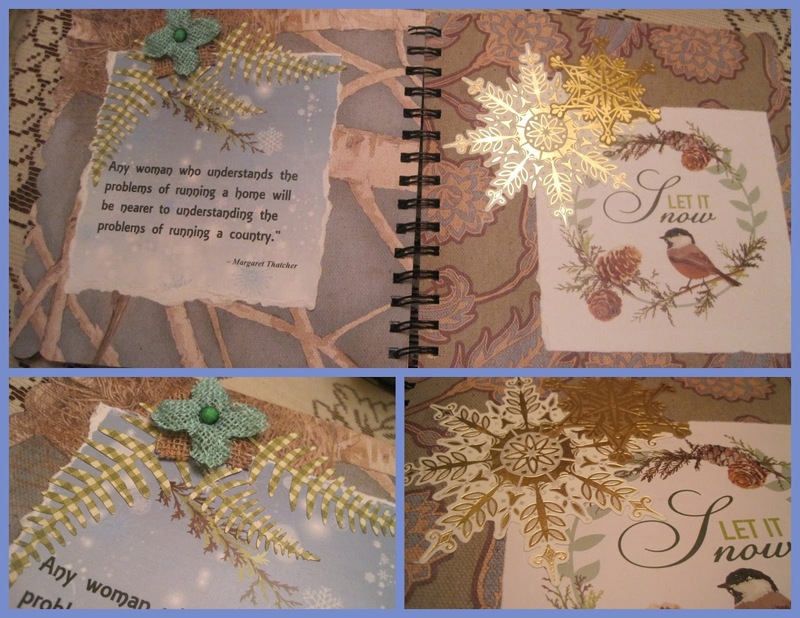 I designed the inserted pages using some clip art I purchased from Creative Market. 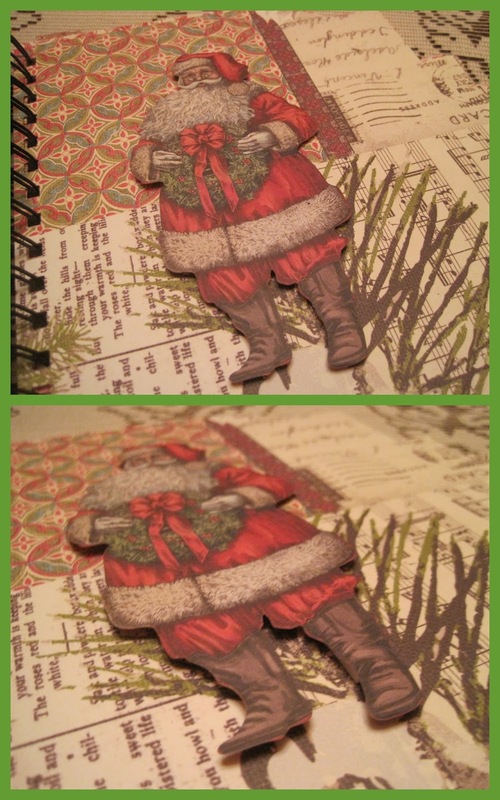 I don't care if my facing pages mirror each other ... but I try to make them match in some way. 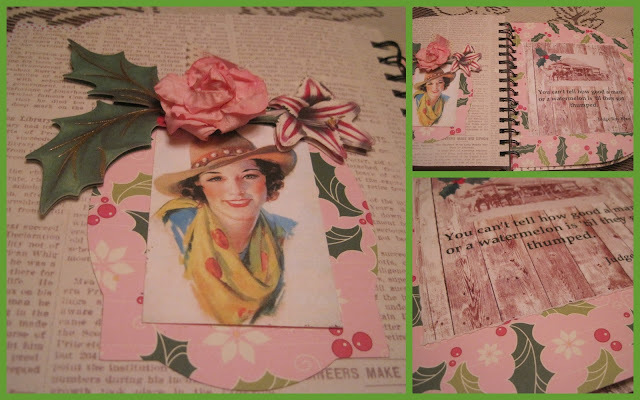 I added some cut fern fronds to this page (lower left) with layered burlap flowers. Mother Teresa said, "I know God will not give me anything I can't handle. I just wish that He didn't trust me so much!" The window box is filled with pearl enhanced poinsettias ... and the leaves are added gems. 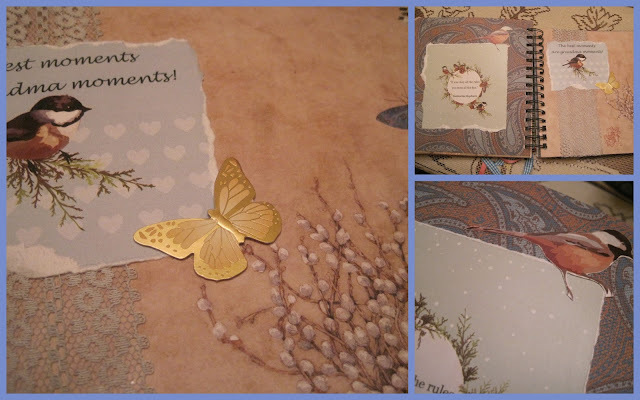 Several of the pages of scrapbook paper had beautiful full page designs that I didn't want to lose, so I started my cut carefully. To this page ... 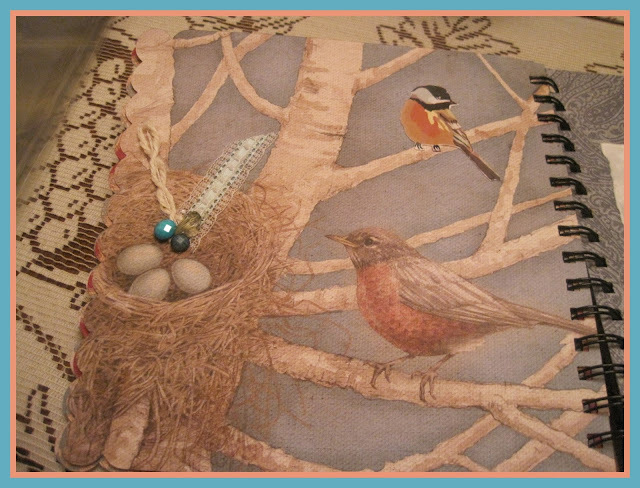 I added the bird on the top branch ... and the ribbon, twine and gems to the bird nest. I have found many bird nests at the end of the season ... filled with things my critters have robbed from outdoor wreaths or floral arrangements on my deck! I love to find that the birds liked my creations as much as I did! 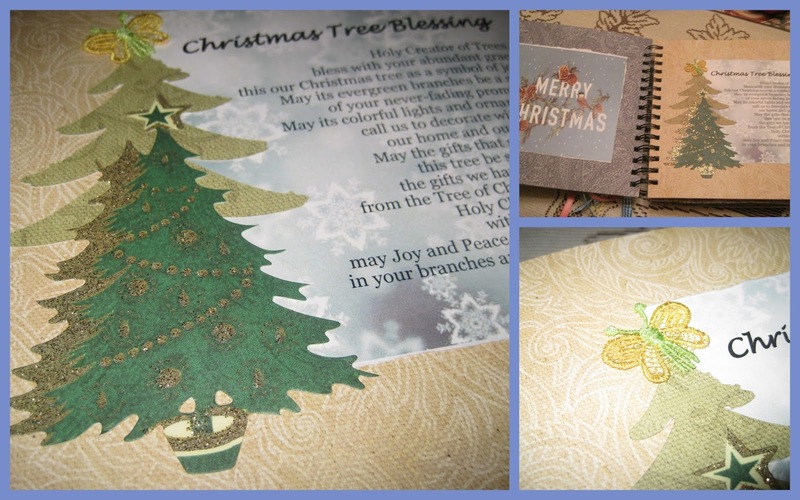 I love the layered look of the Christmas presents ... and the pearl sets them off! 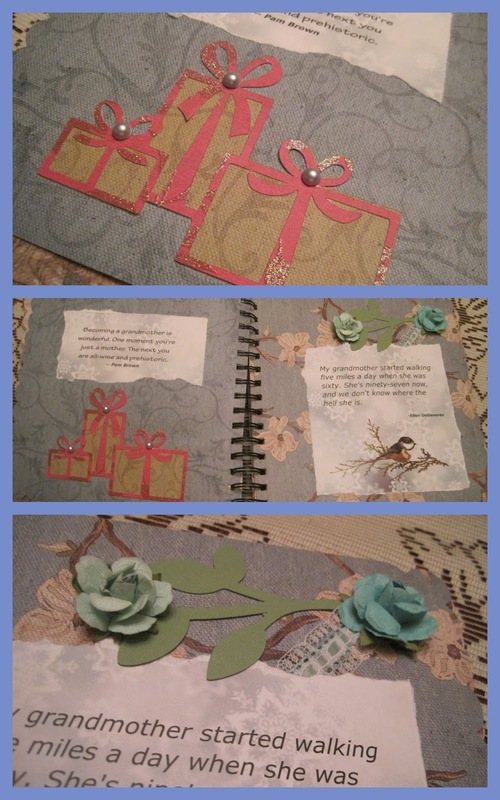 The blue paper roses add so much depth to the page. Notice the vintage ribbon! More birds in the following collage! 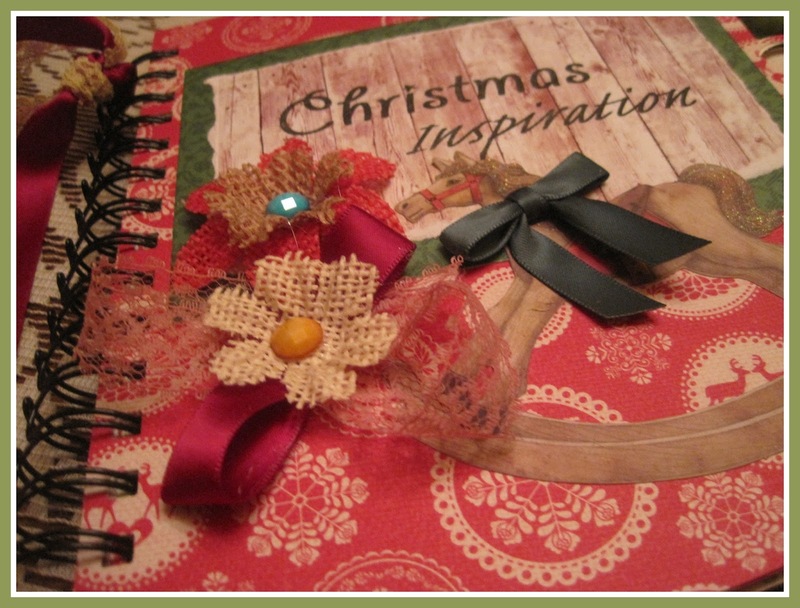 The ribbon and old lace make each page special. 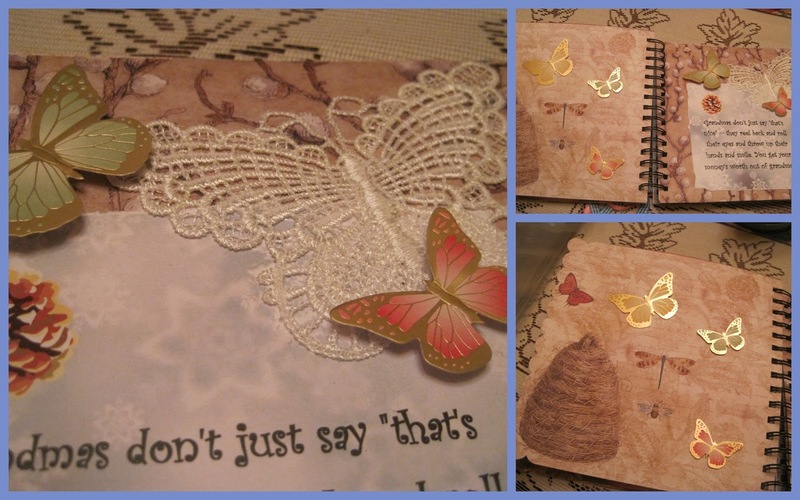 I love the butterfly pages ... the raised bugs are from a Martha Stewart collection and I bought a batch of lace butterfies online ... 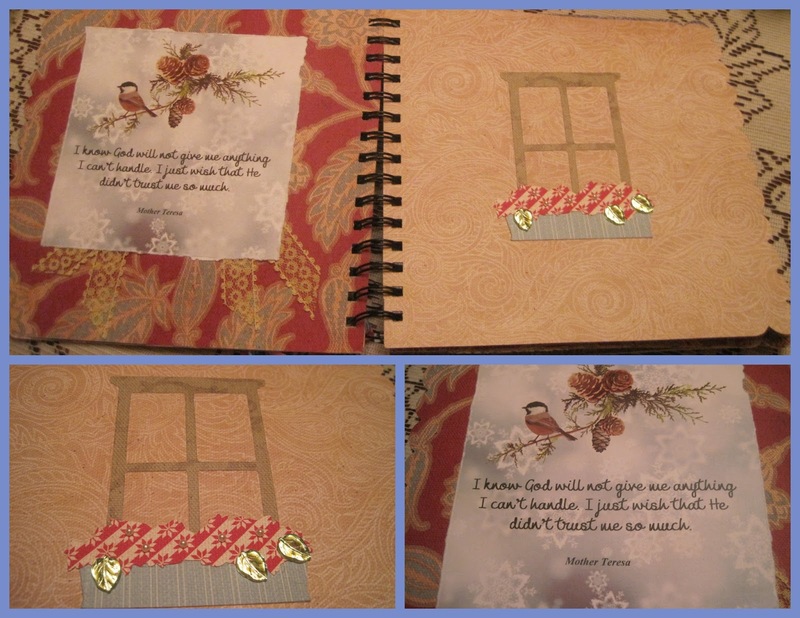 I ran it through my Xyron sticker maker so it adheres to the page. Notice the water dripping in the garden fountain in the following collage! More birds ... more butterflies ... more paper roses and burlap flowers! 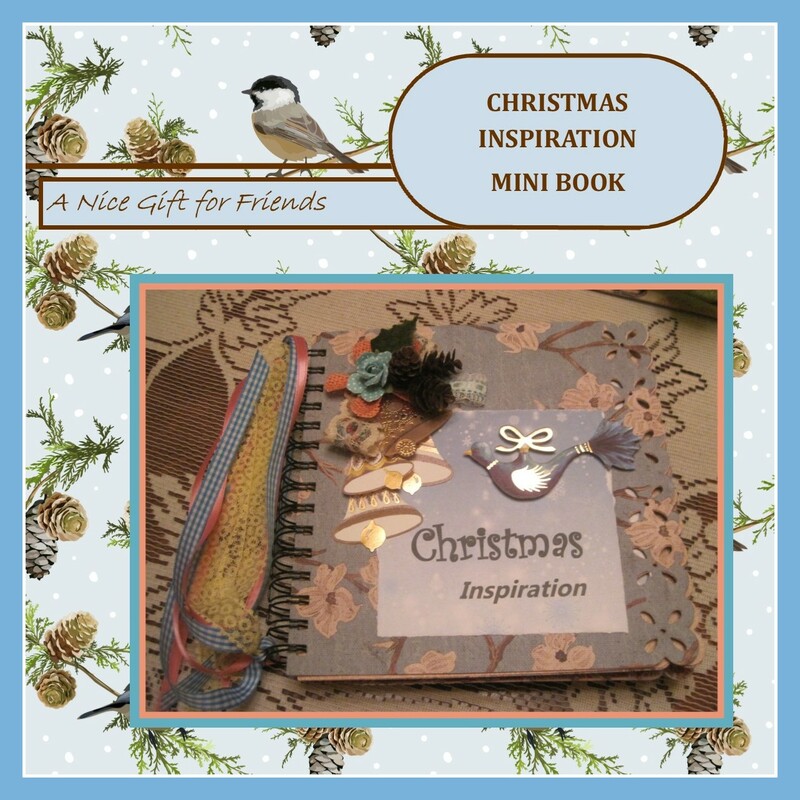 I'll be sharing this post with some of the parties on my sidebar, but before you move on ... make sure you visit my other mini book post for my sister-in-law, Carol. Click right here! 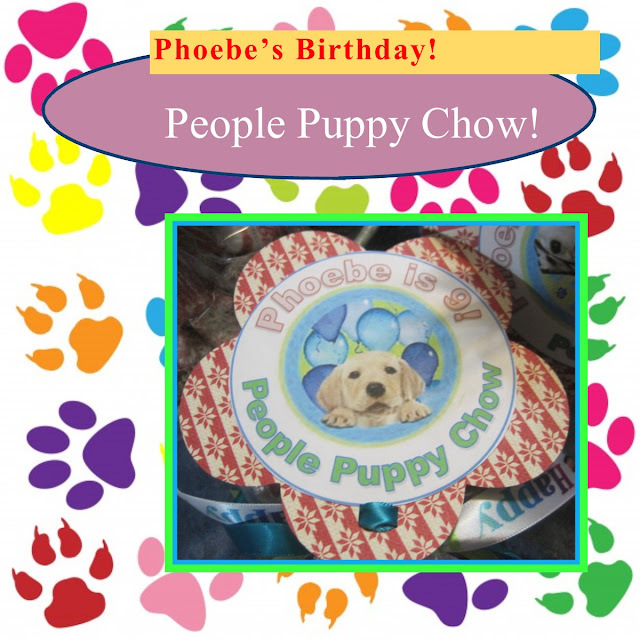 People Puppy Chow for Phoebe's Birthday! Phoebe is having her birthday party at our favorite frozen yogurt shop. One of our best friends owns it! I made favors to match the party theme, which is "Puppies" ... Why? Because Phoebe has a new puppy to go with the big fuzzy dog they already have! 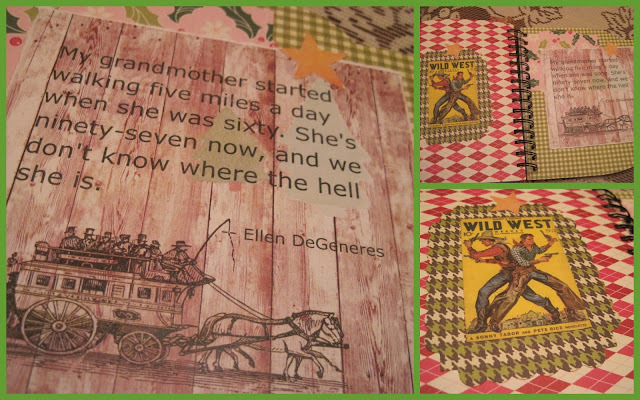 So I scanned the paper plates that my daughter bought to use and made these cute tags to put on my cereal snack mix. Over the years, I've found a dozen recipes for puppy chow that I enjoy using, but I've also learned to love some of the shortcuts! I made the red coating by simply microwaving a container of red cake frosting. That was all there was to it. 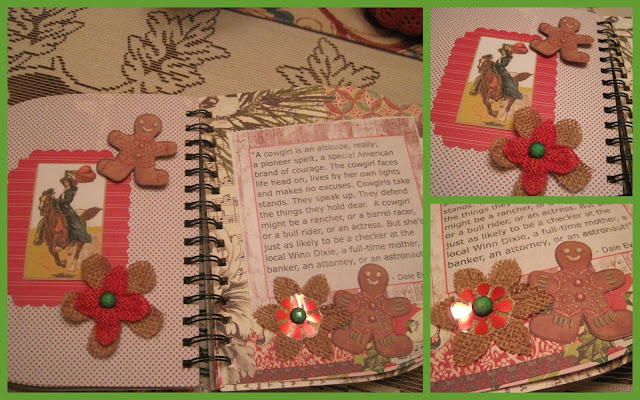 I added a bag of peppermint candy discs to it. It takes about 3 minutes for all of it to be nice and smooth. I used rice Chex for the red. The chocolate is a bag of chocolate candy disks with half a stick of butter ... melted. It takes a couple minutes for that to be smooth. 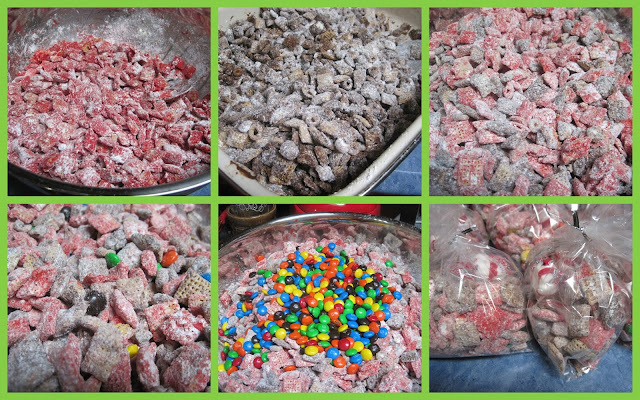 I used the new chocolate Chex cereal for that batch ... then I tossed both flavors together and sprinkled them with about 3 cups of powdered sugar. I added chocolate candies to the batch and bagged it. 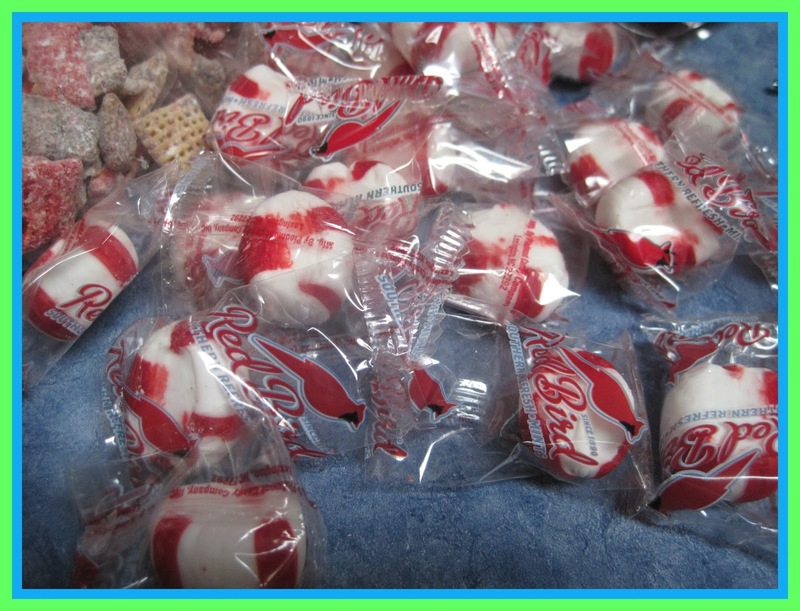 I love these soft peppermints, but I can't eat them without blowing my Diabetic diet! I added a couple to each bag of snack mix. 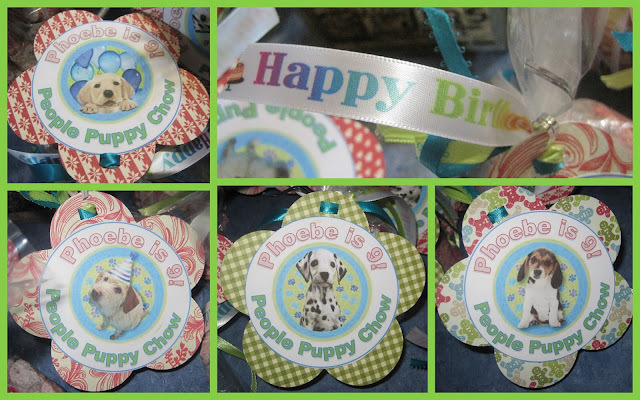 I found some cute "Happy Birthday" ribbon to tie each bag ... and attached the tags with teal and lime green ribbon. I used my Cricut to cut the flowers. 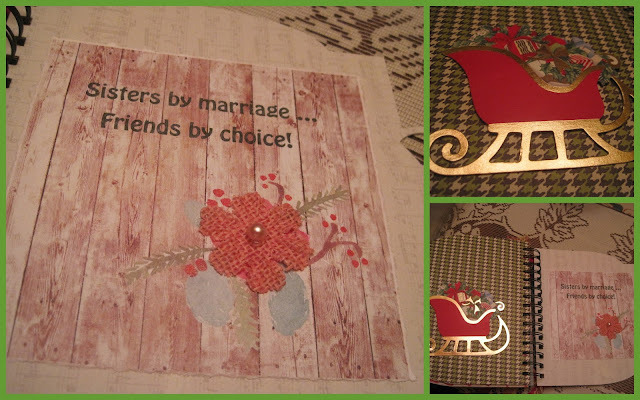 I made a big card to match the party decorations ... but the dog in this picture is "Sugar" ... the new fur baby at Phoebe's house! 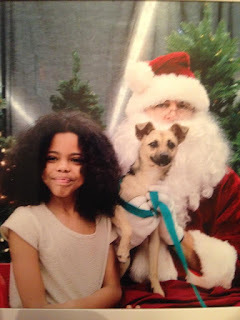 Sugar was adopted at a pet fair ... where doggie and Santa pictures were also made! 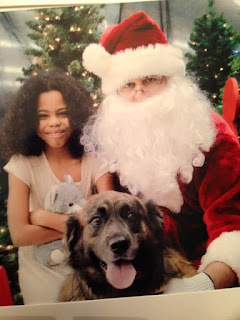 Here's Miss Phoebe with her pets .... and Santa! I'll be sharing this post with some of the parties that I list on my sidebar. Make sure you click through to see the other posts!